Since 1989 our company has established, we have accepted high estimate from users in PCB and photo mask industries because of innovation spirit, low cost ability, original viewpoint, practical result. We invested R&D substantially based on our slogan “Something Special”; in short, our target is different from that of other persons. Our original technology is spread to machine design, electronics circuit design, optics design, development of IC, development of computer software. We have developed these technologies by ourselves. Therefore, we can propose a novel product based on various viewpoints for our users by mass technology in the office. In fact, there were a lot of customized products for specific customers in the past. The next, we introduce its typical examples. One is a probe checker which is developed ourselves on demand from automobile affiliated manufacturer. This is an inspection tool of probe for inspection of control circuit board of hybrid-automobile. In this tool, change of electric property such as voltage, current, and so on is checked by applying of pressure of probe. 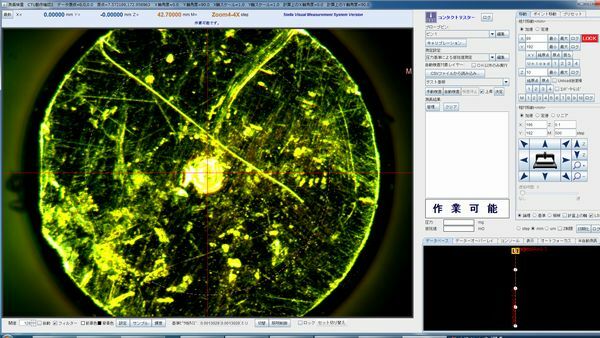 Therefore, image capture and treatment technologies and electric inspection technology were necessary. In this time, we adopted an original pressure sensor, and then, introduce testing function with actual achievement. As a result, we could develop and supplied this tool for a few months. In fact, this customer commented that this tool didn’t exist in the probe industry; as a result, we could build out effective inspection framework. Another is an inspection system which is possible to inspect misalignment of hole and pad on PCB in the both surfaces at the same time. If this inspection is performed by making use of the conventional measuring system and optical inspection system, first of all, the top surface is inspected, the next, PCB is turned, and then, the bottom surface is inspected. In short, process treatment time is reduced because of two alignment treatments. Therefore, we aligned two CCD cameras with facing condition, and inserted PCB in between CCD cameras vertically. 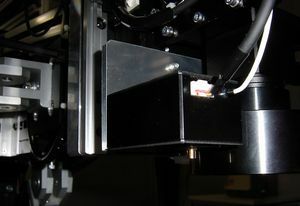 As a result, in this system, misalignment could be measured and inspected in the both surfaces at the same time. Of course, inspection result can be recorded as enormous data reports by statistical processing. 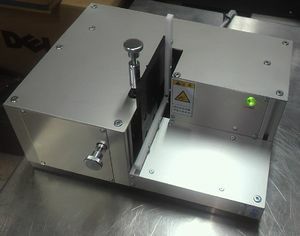 Therefore, user can enhance yield of PCB by making use of this system. As the above, we have enormous elemental technologies. However, a lot of technologies with ineffective practical use maybe exist. If you search a novel advanced product, please contact with use willingly.